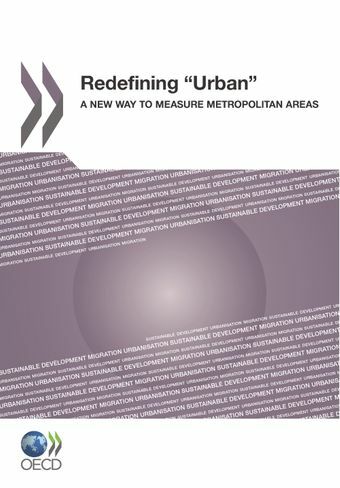 This report compares urbanisation trends in OECD countries on the basis of a newly defined OECD methodology which enables cross-country comparison of the socio-econimic and environmental performance of metropolitan areas in OECD countries. The methodology is presented and results from its application to 27 OECD countries are discussed together with policy implication both on national growth and governance of cities. The report also includes three original papers that present the urbanisation dynamics and prospects in China and South Africa and the governance challenges resulting from the new policy agenda on cities in the United Kingdom. Can policies better reflect the reality where people live and work? Read the policy brief and get the key facts. Click on the map to explore how the 264 OECD metropolitan areas fare on population, density, gdp, CO2 emissions and air pollution. 14 of May 2012: Launch of “Redefining urban a new way to measure metropolitan areas” hosted by the Department for Communities and Local Government, United Kingdgom.